Zana Strange and her son Ethan 8, resting on the coach unwell with a fever, in their Owen Sound home. Strange struggles to keep jobs because of the demands of her son’s health care needs.Zana Strange proudly watched her son Kohl receive his diploma in a small, private ceremony in an Owen Sound church basement earlier this month. Zana Strange proudly watched her son Kohl receive his diploma in a small, private ceremony in an Owen Sound church basement earlier this month. She and others applauded the 20-year-old’s accomplishments, as well as those of his nine peers in a life- and work-preparation program, Getting Ahead, which seeks to get people’s lives on track. 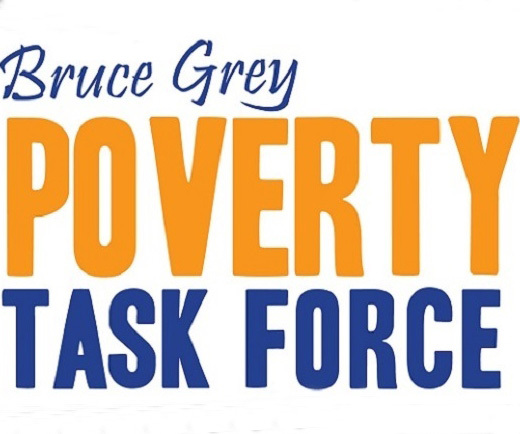 The program is part of the Bridges Out of Poverty program funding by Ontario Works through Grey County Social Services, in partnership with the Adult learning Centre. It helped Kohl appreciate how procrastination is one of the “things I do to myself to keep myself held back,” he said in an interview at his mom’s place afterward. He also has a learning disability and social anxiety to overcome. He lives in public housing on about $450-per-month child-support. Zana Strange, 49, graduated from the same program in 2012 after she got a referral from the county. She agreed to give The Sun Times a glimpse of her family’s life, to kick off the paper’s periodic look at the overall issue of poverty. She lives with her youngest son, Ethan, 8, and daughter Brynne, 17. Since 2009 Strange has been a single parent in what she calls situational poverty — imposed through past family violence and current circumstance. She and her three kids have relied on food banks, public assistance and kindhearted people since 2009, since Strange said she left a violent relationship. She pays half the utility bill to pay the phone bill, then trades that off to buy food in an endless cycle she wants no part of, she said. “What do I do? And then I feel guilty if somebody at the food bank who works there sees me buying apples. ‘Well why are you going to the food bank, you obviously have enough money to get apples?’” Strange imagines others must be thinking. Kohl used to wave off breakfast, saying he’d pick up something free at school. He was just saying that because he could see there wasn’t enough food, his mother said she now knows. She took a carpentry apprenticeship through Ontario Works, fell for a renovation contractor and ran that business with him until she said she ended the relationship in 2009. The problem for Strange now is her youngest son has health problems and she’s needed at home to take care of him. Ethan has asthma and frequent bouts of bronchitis keep him home from school for weeks at a time, she said. He also has attention deficit disorder and mild autism. Who else will stay home with him, advocate on his behalf at school and to doctors, she asks. People say get a babysitter, but Ethan would rather his mother stay home, she said. His celiac disease makes shopping for gluten-free foods costlier and limits the food bank’s help, she added. She can’t keep jobs because she misses too much work to take care of him. She’s been fired three times since 2011 for missing work to care for Ethan, she said. She has worked as a trail guide and at an apple orchard in Clarksburg, as a custodian, as a stablehand and in a pizzeria where she was asked to negotiate how much pay she could do without on payday, and at two hardware stores, she said. Her way out of poverty hinges on her young son’s health improving, she said. He was home the day of this interview, with a fever that seemed to have passed, his mother observed when he came downstairs for an apple. She raises her son and daughter at home with $1,670 per month: $445 child support from first husband for her daughter, $700 Child Tax Benefit, $300 Ontario Works and $225 Ontario Disability Support Program for Ethan’s tutoring and health supplies. She frequently does without another $300 child support from Ethan’s dad, Strange said. She said her frustration over her inability to change her situation has prompted her to join some committees which advise agencies on better ways to help the poor. She also intends to write a book to throw light on how domestic violence and then the justice system throw women into poverty. But there has been some improvement in their lives. Strange drives a van paid for with $3,000 from her mom, whereas for a year she had no phone or a car while living in the country. She finds the cost of three monthly bus passes is similar to the costs of owning a car. She got a cellphone, provided at first by Victim Services for safety. She added a landline and now she has Internet to help her work on poverty committees and for her daughter’s school projects on a donated computer. She got a TV in December but there’s no cable. They watch DVDs and online movies. She was sleeping with her young son until December, when she got her own bed. 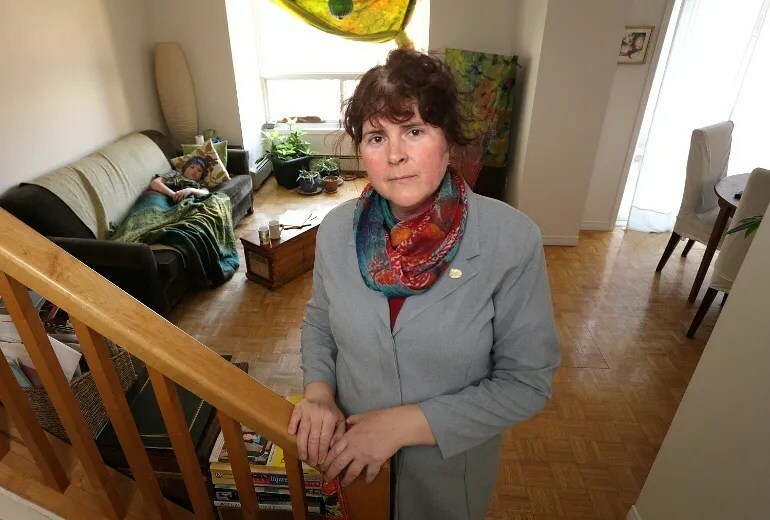 Most significantly, after moving nine times since 2009 and paying rent of upwards of $1,000 per month, she, Ethan and Brynne moved into a bright, three-bedroom, two-storey home in Owen Sound’s Ordinance Park, in rent geared-to-income public housing. Now she pays just $142 per month. If she finds a job she can keep, her rent will increase as a proportion of her income and she can stay as long as she wants.